Verna Normand is the founder of Divern Cleaning Pros which provides cleaning services, focusing on residential properties. The company offers environmentally safe solutions, which appeals to those who want to avoid harmful chemicals. Verna first learned of ACCESS when she attended an information session at Black Creek to learn how to put a business plan together. The rest, as they say, is history. Vernawas approved for a Mini Micro Loan that helped her buy the equipment needed to get her business going. Read more loan stories like this. Who: Are You Facing Barriers to Financing? By granting micro-credit loans to local entrepreneurs or professionals, the Black Creek Micro-Credit Program is contributing to local economic development. The Black Micro-Credit Program was established in 2007 and is the local chapter of ACCESS Community Capital Fund to support the entrepreneurial desires of our community members. If you don't fall within the boundaries of the Black Creek Community, you are still able to apply for a loan through ACCESS Community Capital Fund. The Black Creek Micro-Credit Program is a local chapter of Access Community Capital Fund. To serve our community, we have various loans for both professional development and entrepreneurs. We have entered into a few valuable collaborations within the community to help support your businesses. 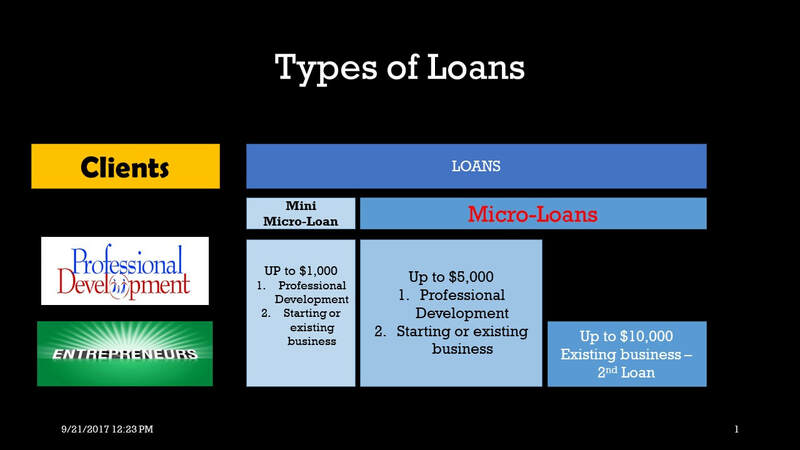 Briefly, these collaborative offer our Black Creek Micro-Credit Loan clients preferred rates. See below for more information. after you have paid back your initial loan with us . Please review the eligibility criteria on ACCESS Community Capital Fund's website. Conveniently located in the Jane and Finch area. For more information on how to invest, support or apply to the loan fund, you can send us an e-mail detailing your inquiry at microlendingblackcreekcc@gmail.com or give us a call at 416-747-5616 x 104.